I am still very much into the current slipper trend - I'm hardly ever out of mine, wearing them for work with a smart pair of trousers or skirt, or for play with a pair of jeans. They're comfortable and versatile, but they're often made from man-made fabrics. However, I've found the best of the leather options on the high street and rounded them all up here. Which ones get your vote? 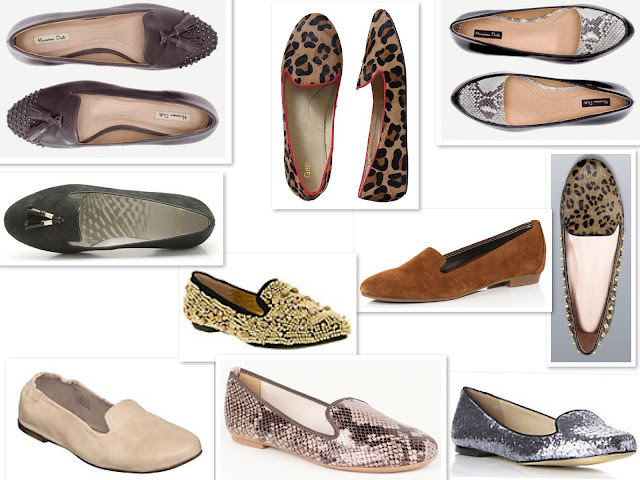 Studded slipper, £79.95 Massimo Dutti; Calf hair loafer, £44.95 Gap; Animal print slipper, £69.95 Massimo Dutti. Aintree Hurdle in black suede, £39.99 Clarks; Gold studded slippers, £68 Office*; Tan leather slippers, £40 Dorothy Perkins; Camouflage slipper, £59.99 Zara. Louisa elasticated leather slipper, £35 Dune; Grainger snakeskin slipper, £59 Jones the Bootmaker; Laramie loafer slipper, £35 Dune. *25% off Office with the current copy of Grazia - ends today. The animal print Massimo Duttis!